← Is That Bug a Boy or a Girl? How do wasps find other bugs to parasitize? How do wasps find their hosts? This is about how old I was when I first got really into insects…right about first grade or so. I got my start in entomology by going through a bug phase, which wasn’t really appreciated by my parents. I raised caterpillars for fun, but they demanded I kept them in the garage…for some reason. 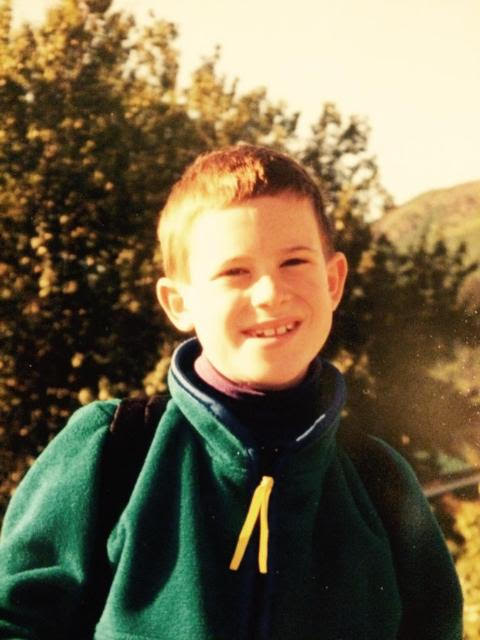 Even at the age of 6, I knew that caterpillars weren’t supposed to turn into wasps. More often than not, I got wasps instead of butterflies. This means that those wasps were able to find the caterpillars not only in the enormity of the entire world, but also through a closed garage door. So how did they do this? How did they find those caterpillars against impossible odds? Wasps have incredible senses, and are somewhat intelligent animals. Using these senses in conjunction with one another, they can zoom in on the bugs they need to feed their babies. It all begins with smell, and then other senses come into play as the wasp zooms in. Bugs tend to be really messy critters. They spit and poop all over the place, and some even use smell to talk to each other. Some body parts, like wing scales, also have unique smells. So if the wasp can smell this stuff, it can also find the general area where the caterpillar lives. Interestingly, smells from the host aren’t the only things the wasps can use to find their hosts. When bugs feed on plants, or even just lay eggs on the plants, the plants can release stuff the wasp can smell. The wasp uses these odors to figure out where it’s future victim is feeding. Wasps can even learn to associate completely new odors with either food or hosts, a trick the army has used to train these bugs to find hidden explosives. So they’re capable of not only recognizing what their hosts should smell like, but also the type of smells they’d expect to find around the thing they’re looking for. This is damage caused by an insect which lives inside of leaves, usually a moth or a fly. 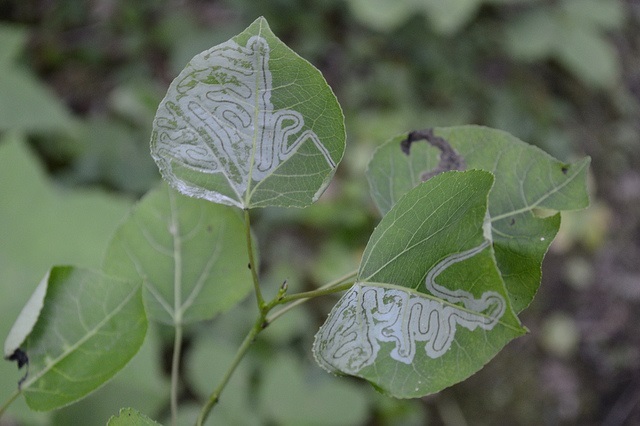 Wasps can find other bugs using signs like this, and many leaf miners can be identified by the patterns they carve inside the leaves. Smell is really sensitive to stuff, but it only helps at a long distance. Once you’re in the general area, you need to figure out where your host is. For this, wasps use sight. There are a lot of things bugs can use to figure out what’s happening around them. Sometimes if a bug is feeding on a fruit, it changes color. The wasp can use this color to tell whether or not a bug is feeding inside. If the thing they want to lay eggs in creates a gall, they can figure out whether the shape of the gall is one which houses their host. They can also look for things vaguely shaped and colored like their hosts. So sight is just as important to wasps as it is for us, and it’s important for the same reason. I’m lumping these three together because they’re the final senses the wasp uses to figure out if it’s got the right bug. Sound, believe it or not, is important for wasps which lay their eggs in bugs that live deep inside rotting logs. They listen to their host feeding, and can even use a sort of ‘sonar’ to figure out where they should lay their eggs. They also use this sonar sense to figure out if their host is already occupied. Some bugs can already be occupied by another wasp, and the mom wasp might not want to lay her eggs in there. Taste is important for a few reasons. Sometimes, bugs taste the waste their host produces to see if it ‘tastes’ right. It’s also likely they can taste the host’s skin to see if they got the right host. One interesting thing scientists have recently found is tastebud-like organs on the things wasps use to lay their eggs. It’s known that wasps sometimes eat the blood of their hosts, but wasps might be able to taste the blood of their host to figure out if they’ve got the right bug while they’re laying eggs. So, it’s possible that wasps can taste stuff with both ends of their body. If you watch the video below, you can see all of these things in action at once. In the video, several species of wasps who parasitize other wasps all check out their respective hosts. You can watch them drum on the cocoons, and check their hosts out in a number of ways. Each wasp has a different process, but it all ends up the same…with a successful egg laying. If you’re keeping bugs in your garage, wasps are going to find the bugs pretty quickly because they can smell the poop. It’s the smell which is important to them over the longest range, and they’re good at picking up on the scent of the bugs their babies eat. They’re like little bloodhounds, patrolling the skies. There’s a lot of other stuff bugs use to find their hosts, though. Most (if not all) of the wasp’s senses play important roles in finding it’s prey, especially as it gets closer to it’s host. This entry was posted in Behavior, Ecology, Education and tagged Agriculture, Beneficial Insects, Biochemistry, Caterpillar, Chemical ecology. Bookmark the permalink.